Whether you’re hitting the trails, mountains or slopes, finding the right women’s daypack can make a big difference. 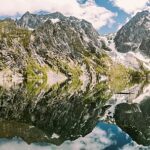 The best hiking backpacks for day hikes are typically lightweight, ergonomic and provide easy access to essentials (ex. water, snacks). 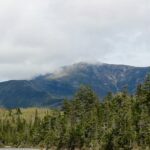 Before trying on any backpacks in store, it’s a good idea to take inventory of the all the hiking gear you might need, or want, to pack for the outing. Understanding everything that will need to fit into the daypack will influence not only the size of day pack you select, but also help you prioritize which features to look for during the shopping process. 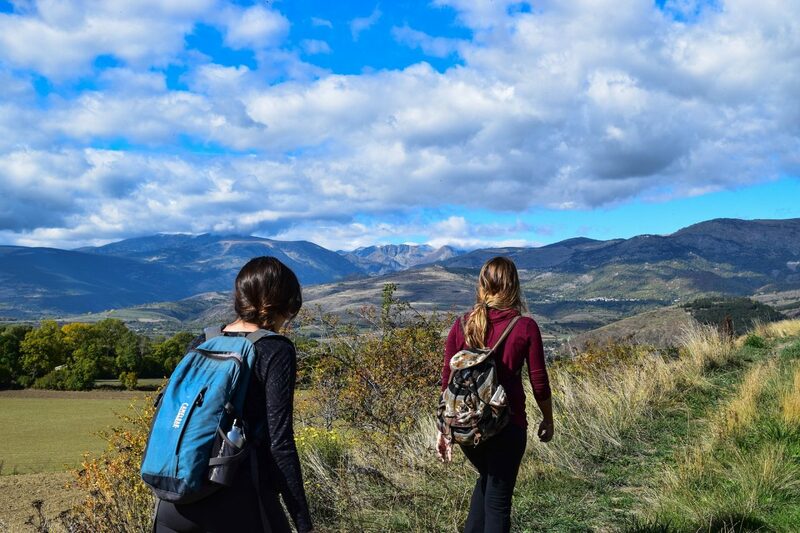 While individual models vary, most small hiking backpacks typically come with a handful of standard features, with a variety of optional/bonus features. 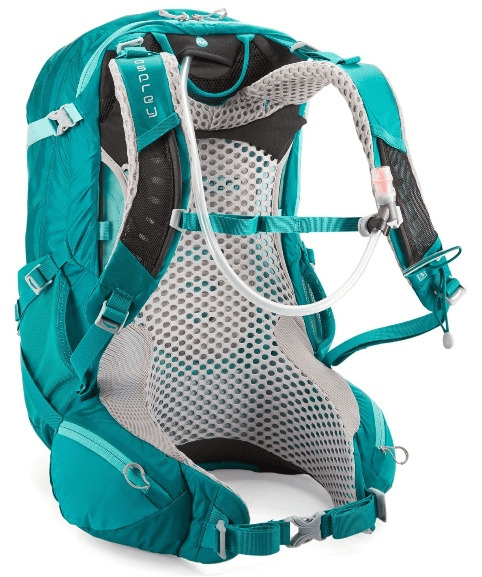 Some day packs feature a top-loading style, where gear is packed and accessed from the top of the pack. 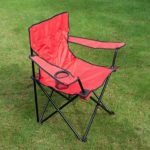 While this style offers more packing volume when traveling from Point A to Point B, it’s not as convenient for day trips or if you plan to frequently access the items inside the backpack. In contrast, panel-loading day packs can be accessed from the front via a large, U-shaped zipper (similar to a suitcase). This style offers easy access to all the hiking gear inside the backpack. Most backpacks and daypacks have load-bearing straps. Load-lifter straps are located at the top of the shoulder straps and can be pulled to secure the backpack tight against your body. Sternum straps are located mid-way down the shoulder straps and secure the straps across your chest, helping to support the weight while keeping your pack snug and centered on your body. Located toward the bottom of the backpack, the hipbelt rests on your hip bones. The belt’s width, padding, and adjustability can vary widely among models. 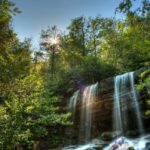 A thinner belt may be sufficient for small hikes with minimal gear, while a wider, more padded belt would be more comfortable for longer day hikes and/or treks requiring heavier loads. All hiking backpacks and daypacks include pockets, though the volume, size, and type of pockets vary widely among models. Zippered pockets offer secure storage for smaller items or valuables, while mesh and elastic pockets are designed to accommodate items of varying shapes and sizes. Some packs even feature pockets on the hipbelt or shoulder straps, allowing for easy access to smaller items such as cell phone or compass. 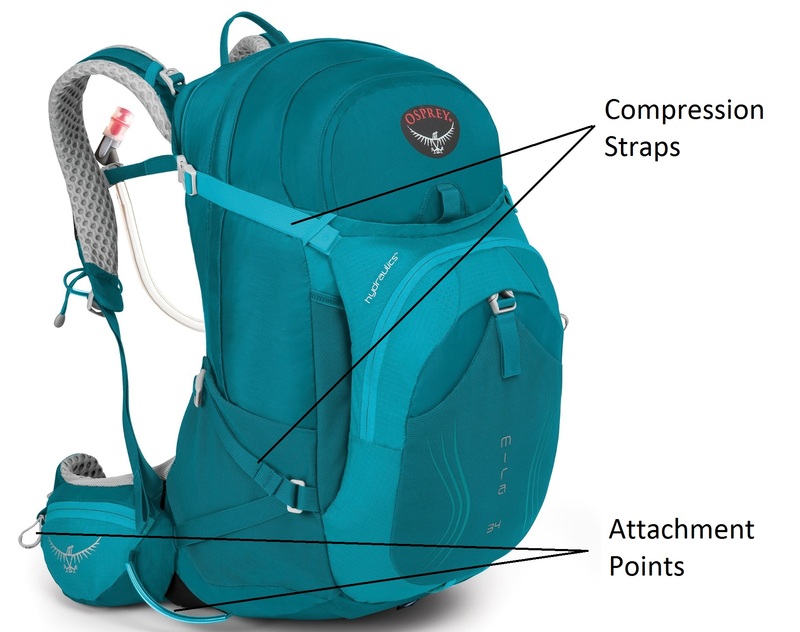 Many daypacks feature clips, loops, or straps to attach trekking poles, crampons, or other hiking and climbing gear to the outside of the pack. Models vary, so find packs whose attachment points align with the type of activity you’ll most often do with your daypack. 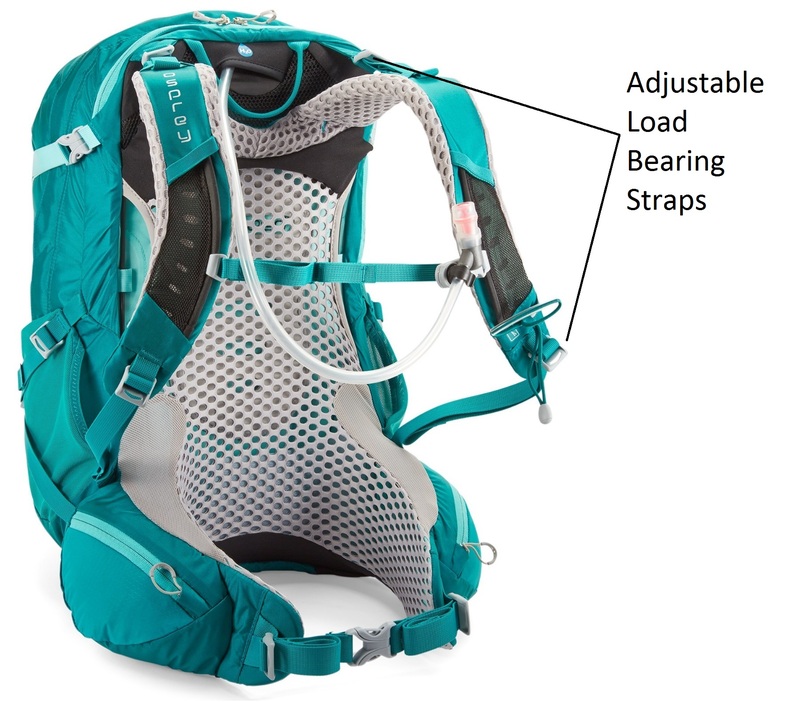 Some day packs also have compression straps, which allow you to tighten your load to minimize shifting during hikes. Some hiking backpacks feature an integrated rain cover that can easily be deployed and stowed away during inclement weather. Rain covers can also be purchased separately. Some smaller, lightweight backpacks are specifically designed with hydration in mind. 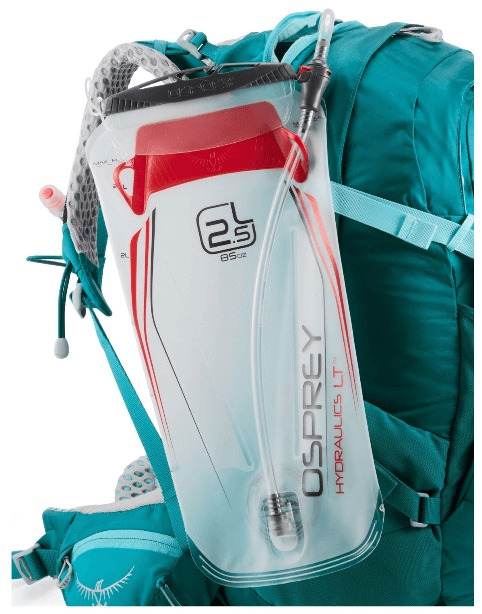 Called hydration packs, these specialized backpacks come with an integrated water bladder/reservoir and hose—making them a great choice for distance runners and bicyclists. Many of today’s daypacks feature a sleeve to fit with compatible hydration reservoirs/bladders, as well as ports for the hose. 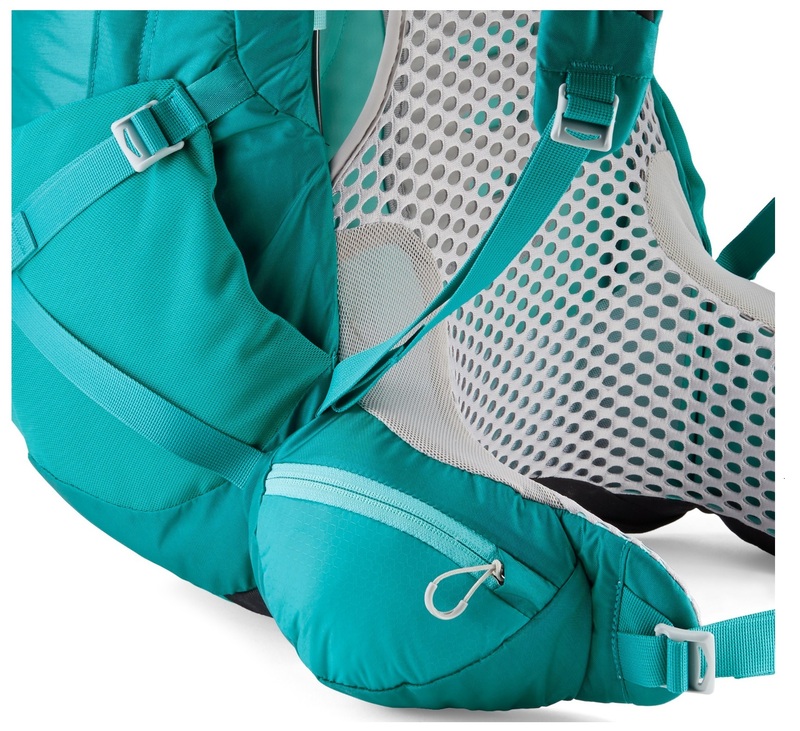 Some day packs feature a mesh fabric on back that’s pulled taut and suspends the pack away from your back, allowing air to flow freely between the back panel and your back. 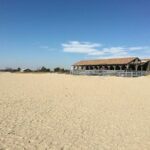 This is a great feature for warm weather day hikes or treks that require a lot of strenuous, sweat-inducing activity. Most backpacks are made from nylon, polyester, or a blend of both. 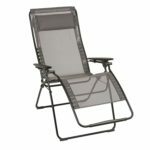 Nylon is popular for its ability to resist abrasions and tears, while polyester maintains color and repels water better. Denier is a unit of measurement (measured in grams) that indicates the fineness of a fiber. As the denier number goes up, so does the fabric’s durability, abrasion resistance and total weight. Your activity type, packing style and gear/equipment needs will influence the amount of storage capacity you need in a hiking daypack. 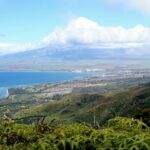 A shorter, simple day hike may only require 15-20 liters of storage, while a longer or more technical activity (ex. mountain climbing) may require at least 20-30 liters. 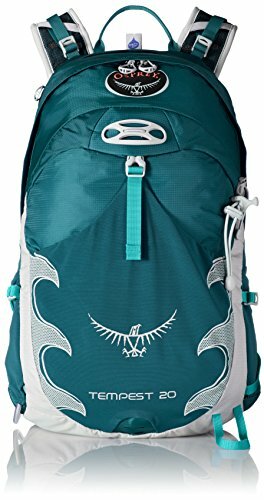 In what climate and season will I be using this backpack? 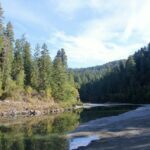 Will I be using gear that needs to be stored/attached at certain points during the hike? 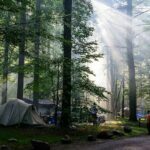 Do I plan on using a water bottle or a hydration bladder? While features are certainly important, the pack’s fit and comfort will be one of the biggest deciding factors when selecting a daypack. 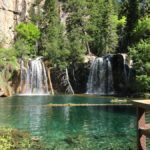 For this reason, you should definitely shop and try on a number of backpacks in person, and have a store specialist help adjust each pack’s settings for a custom fit. Many brands make specially designed daypacks for women, which feature a smaller/narrower frame and back panel. The shoulder straps and hipbelt are also often contoured to better accommodate women’s bodies. Many shorter or more petite women prefer the fit of these smaller women’s backpacks. Many small hiking backpacks now come in multiple sizes to accommodate different body sizes and torso lengths. Your torso length is more important than your total height when determining which size fits best. A good guide on measuring yourself for backpack fit can be found here. 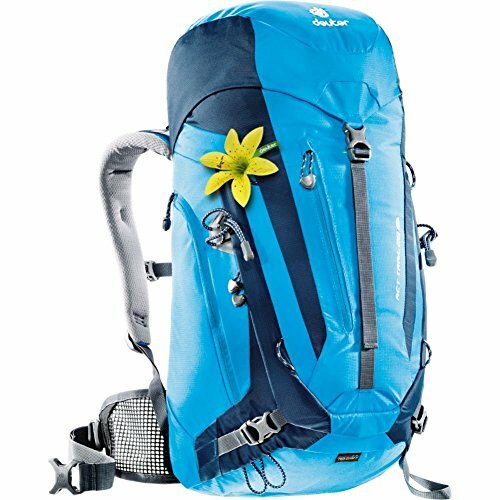 This lightweight women’s backpack is loaded with practical and ergonomic features, making it a deservedly popular choice for day hikers, bikers and climbers. The wide, ventilated hip belt offers a level of comfort, stability, and weight distribution not often seen on smaller backpacks and daypacks (many brands reserve this feature for the bigger backpacks). The hipbelt also features two zippered, stretch mesh pockets to securely and conveniently stash your snacks and cell phone. 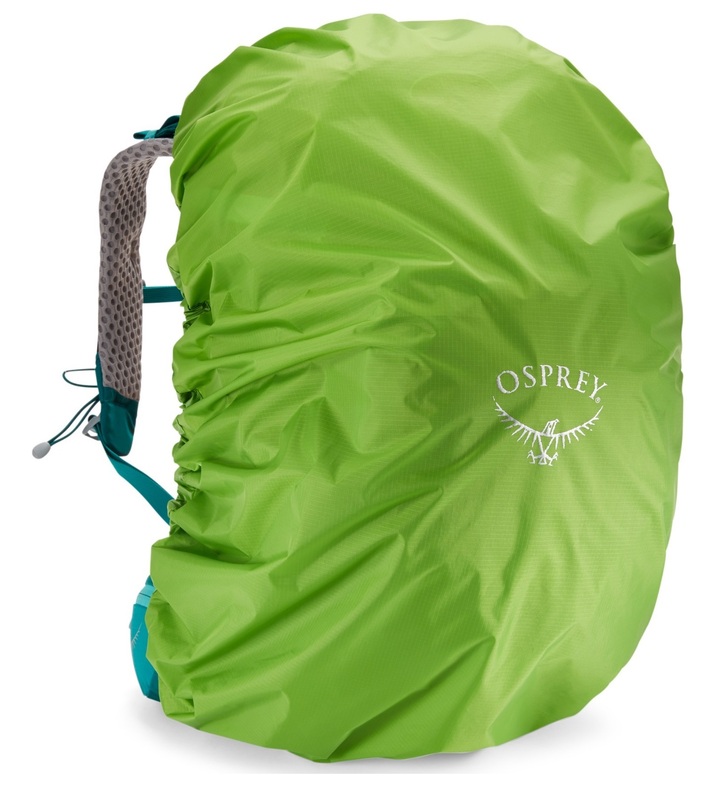 Similar to the Osprey Tempest, this small hiking backpack is designed specifically for women’s bodies and is packed with thoughtful features to accommodate a variety of same-day adventures. It features a wide hip belt with dual zippered pockets for easy access to smaller items, as well as a deep, expandable front pocket to store your helmet or other bulky items. 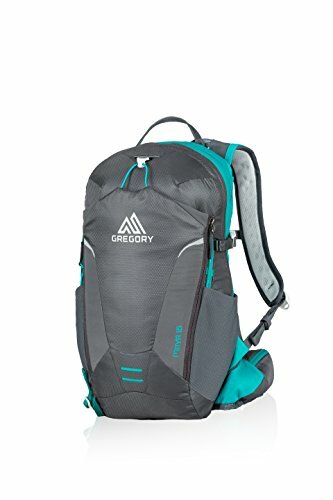 While a bit larger and heavier than the Gregory Maya and Osprey Tempest, this women’s daypack is a great choice for longer day hikes, or shorter hikes that require more gear. Its primary loading point is at the top, but it also includes a two-way zipper in front to quickly access items packed deep inside. Deuter’s developed technology for air flow over your back to keep you cool. An expandable pouch on the front of the backpack for additional gear. For a complete datasheet on this product click here.